Exploring the beauty and inspiring nature of Forest Park through the work of talented artists. To help mark its 30th anniversary, Forest Park Forever invited three artists to participate in an artist residency in Forest Park, St. Louis, MO, between May – September 2016. Artists were encouraged to work in the Park and engage with the Forest Park Forever and City of St. Louis teams, including horticulturists and gardeners. This residency is meant to provide an opportunity to artists of all kinds, from composers to painters, photographers to dancers, weavers to poets and beyond. Click here for the press release announcing our talented roster of artists! Use the hashtag #ForestParkResidency to join the conversation on Twitter or Instagram! Introducing the 2016 Forest Park Forever Artists in Residence! WORK/PLAY a multidisciplinary design duo based in St. Louis. Kevin is an alumnus of the University of Missouri St. Louis where he earned a BFA in Graphic Communication. Danielle attended Webster University where she studied International Relations. The two often use illustration and minimalist design, along with experimental printmaking practices, to create works that disseminate a message, spark dialogue and inspire an audience. Their expansive printmaking practice not only includes 2-dimensional design, but also product design that makes use of various textile techniques to create 3-dimensional surfaces. WORK/PLAY has shown their work at the Mark Miller Gallery in New York, The Sheldon Galleries in St. Louis and a host of other local galleries in the St. Louis metropolitan area. WORK/PLAY has designed and partnered with AIGA St. Louis, Knife & Flag and Glaceau VitaminWater to name a few. They continuously experiment with new techniques, seeking to push beyond the perceived boundaries of art, design and printmaking. What happens when you combine two outstanding members of the world-class St. Louis Symphony with two of the city’s finest jazz musicians? You get The 442s, a genre-defying acoustic quartet named for the modern standard tuning of 442 Hz! Brought together by the innovative and inspired compositions of Adam Maness, who plays piano, guitar, accordion, melodica and glockenspiel in the group, The 442s features Shawn Weil on violin, Bjorn Ranheim on cello and Sydney Rodway on bass. For the Forest Park Forever residency, they will be joined by percussionist and frequent collaborator Montez Coleman. This unique collaboration, formed in the Spring of 2012, combines outstanding musicianship, group singing and inventive improvisation, all while breaking down barriers between jazz, classical, folk and pop music. The 442s were born of a common musical inquisitiveness and a search for new and exciting musical possibilities and collaborations. This search has taken them to venues and concert series throughout the Midwest, including Powell Symphony Hall and Jazz at the Bistro. The 442s self-titled debut album was released in 2014 and has been featured on hundreds of radio stations across the country. Their next album, Relay, was recorded at Powell Symphony Hall and Shock City Studios and was released in June 2016. Madeline Marak completed a Master of Fine Arts degree from the Sam Fox School of Design and Visual Arts at Washington University in St. Louis in 2016. She received her Bachelor of Fine Arts from Tulane University in New Orleans, Louisiana in 2013. Her hometown of Shreveport, Louisiana, is the birthplace of her creative pursuits. Marak’s practice is an investigation of the experience of overlooked spaces where the built environment and natural environment are interwoven. Her work in the studio consists of arrangements of photographs and paintings. Her public sculpture work are structures that frame the space they are within, bringing attention to unnoticed outdoor spaces. The Forest Park Forever Artist in Residence Program will be Marak’s third public art project in St. Louis. Our resident artists were selected by an esteemed volunteer jury of local arts and community leaders. We are grateful for the time and expertise of the following individuals. David Allen is the Director of Arts in Transit for Metro, the St. Louis regional transit agency. Since 1986 he has directed public art programs for the City of San Jose, California and for transit agencies in Minneapolis, Minnesota as well as Saint Louis, and has served as a consultant to several public agencies in Canada and the United States. Allen served as an elected member of the Public Art Network Council for Americans for the Arts from 2007 to 2011 and was a member of the Airport Art Advisory Committee for Lambert International Airport from 2009 to 2014. He is currently a member of the American Public Transportation Association Design Standards Committee for public art. In addition to his passion commissioning artists to integrate their work into the public realm, Allen is a painter currently residing in St. Louis, Missouri. Jessica Baran is the author of two poetry collections: “Equivalents” (Lost Roads Press, 2012 — winner of the Besmilr Brigham Women Writers Award) and “Remains To Be Used” (Apostrophe Books, 2010), as well as the chapbook “Late and Soon, Getting and Spending” (All Along Press, 2012). She is the director of fort gondo compound for the arts, a nonprofit alternative art space in St. Louis, MO. Her poetry and art criticism have appeared in Art in America, Artforum.com, A Public Space, Aufgabe, the Awl, BOMB, the Boston Review, and Poor Claudia, among other publications. More about her writing and curatorial work may be found here: jessicabaran.com. 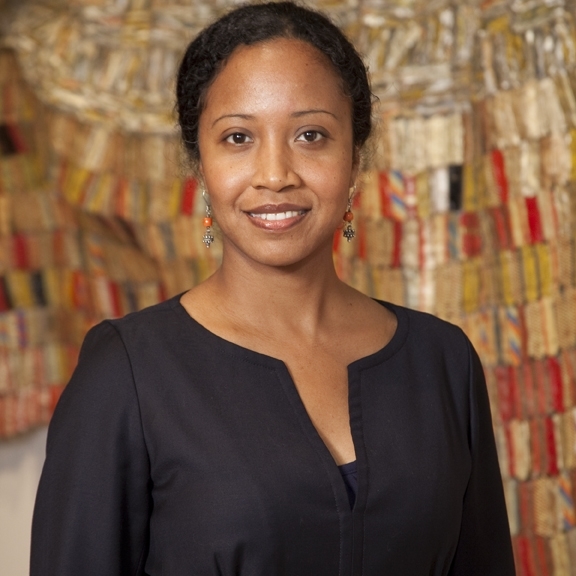 Nichole N. Bridges is associate curator in charge, Department of the Arts of Africa, Oceania, and the Americas, and associate curator for African Art at the Saint Louis Art Museum. Since arriving at the Museum in November 2013, she has organized the exhibitions Adorning Self and Space: West African Textiles (2015) and Currents 109: Nick Cave (2014), and served as in-house curator for the exhibitions Senufo: Art and Identity in West Africa (2015) and Atua: Sacred Gods from Polynesia (2014). She worked previously as a curator at the Newark Museum and the Baltimore Museum of Art, and as a museum educator at the Brooklyn Museum. She earned a Ph.D. in Art History at the University of Wisconsin, Madison and a B.A. in French and Art History from Amherst College. For her doctoral research on 19th-century ivory sculpture from the Loango Coast of west-central Africa, she conducted fieldwork as a Fulbright Scholar in the Republic of Congo, and has received awards from the Smithsonian Institution, Metropolitan Museum of Art, and the Musée du Quai Branly. She has taught courses in African art history at Johns Hopkins University, City College of New York, and Washington University in St. Louis. Demond Meek, born in St. Louis, Missouri, is a commercial-advertising photographer and director. Aside from his time attending the University of Arkansas Fayetteville to study architecture, he has lived most of his life in St. Louis. It was during the time of his architecture studies that he discovered his passion for photography. Demond was instantly drawn to the medium and quickly made the decision to pursue photography as a career. Since then Demond has gone on to collaborate with several corporations and has assisted in the creation of award-winning ad campaigns across the United States. Known for the stoical nature of his commercial portraiture, it was his personal photo project, #SlumBeautiful, that brought about international attention. A project that began simply as a way to photographically document some of St. Louis’ oldest and most endangered architecture has turned into a project that challenges the way people perceive, document, and live within their urban environments. Demond’s work has been displayed in group gallery exhibitions and has been collected by private art collectors around the world. De Andrea Nichols is a social impact designer, museum educator, and social entrepreneur based in St. Louis, MO. Through a multi-disciplinary design practice, De helps changemakers nationwide actualize creative solutions to issues that matter most to them and their communities. In addition to serving as a community engagement specialist with the Contemporary Art Museum St. Louis, she is a Co-Founder and Creative Director of Civic Creatives, a social design organization that equips organizations and leaders to resolve critical social challenges using design thinking. As well, De serves as the President of the Board of Directors for Creative Reaction Lab and is a founding member of the Artivists STL artist collective. As an individual, De engages creatives, do-gooders, and start-ups through public speaking and creative consulting, helping them unlock their creative capacity for social change. De Nichols is an alum of the Sam Fox School of Design & Visual Arts and Brown School of Social Work at Washington University in St. Louis, where she specialized in communications design, social entrepreneurship, and socio-economic development. She is a John B. Ervin Scholar, Brown Scholar, and Enterprise-Rent-a-Car Scholar. Her works have been supported by the Smithsonian National Museum for African-American History and Culture, Clinton Global Initiative, Women’s Caucus for Art, Gephardt Institute for Public Service, Ideas that Matters, Pulitzer Arts Foundation, StartingBloc Fellowship for Social Innovation, Points of Light, and AshokaU Changemakers. For inquiries about the Forest Park Forever Artist in Residence Program, please email Katy Peace at kpeace@forestparkforever.org. No phone calls, please.